Last Friday after returning home from work, I called Mr. X to chat. (Do long distance rates still drop after 5 pm.?) Anyway, as is my practice, I usually walk around the neighborhood while talking on the phone. I noticed a scantily clad Asian woman that was with some guy that was operating a commercial grade camera on hefty tripod next to the nearby lake. The back door of a nearby van was open and some opened large equipment cases were visible. I’ve always wondered what Victoria’s Secret is and somehow I think this gal had the answer but I was too busy to ask. Nearby, a beaver and a few geese were frolicking in the water close to the camera. As I walked a minute further down the path, I saw the KOVR Channel 13 live truck off in the distance. Knowing this was out of place in my neighborhood, I wandered over to see what was going on. I was stopped by some lady that said she was President of the Camden Neighborhood Association. Again I saw a commercial camera on a tripod and an info-babe that had a microphone in her hand checking the area. Without stopping for a breath, the President then said I couldn’t walk any further down the path. I told Mr. X to hold for a minute and then asked what the commotion was all about. That is when I heard the news that people not only had seen an alligator in the little lake at this exact spot but they even had the photos to prove it . The explanation that I was given was verbatim what you saw if you turned in to KOVR-TV or saw the report that was posted on their website later in the evening. “It came up and it would go straight under and up and under. We saw a head come up. The body was like three or four feet long,” said Karen Keeslar, who first spotted the alligator. Keeslar says the first encounter was on Wednesday, and on Thursday, she saw it again. She says an alligator was inside Camden Lake right across the street from her home. She snapped a photo and shared it on social media. Gavin Crutcher lives in the community and says he didn’t hesitate to check it out. Thursday night, he and other neighbors gathered around the lake to take a peak. Crutcher says the gator wasn’t aggressive, even walking the shoreline alongside its spectators. Sharon Anderson, President of the Camden Neighborhood Association, also saw it. 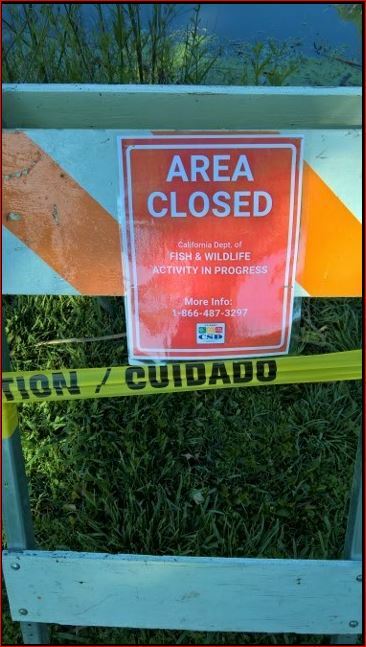 In the wake of the alligator report, crime tape and warning signs were used to create a perimeter that separated the lake from the paved path around the northern edge of the lake. The next day, I saw wary fishermen casting their lines over the crime tape to try and continue recreational fishing. 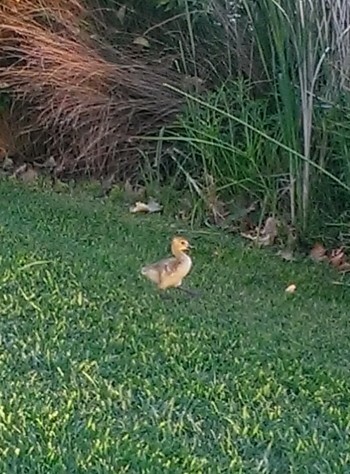 I have seen some interesting critters in the lake: beavers, otters, white pelicans, and geese that illegally emigrated from Canada just to come here to mooch off our food and have anchor babies and I know that people do dump their pet turtles and probably other critters in the lake but an alligator? If true, it either isn’t very big or hasn’t been there very long or it would have been sighted before now. While we pondered the merits of the sighting, no government employees were seen near the lake on Saturday or Sunday. The last time that I know Fish and Game was in the area was about five years ago when they drove thru the same area writing tickets to people fishing in the lake. People in the neighborhood waited to see what would happen on Monday when the G-men were back on the clock. On Monday morning, I had barely been able to tell folks at work about the commotion in my neighborhood over the weekend when competing television station KCRA—who never covered the initial alligator story on Friday the thirteenth—posted the news that the whole thing was fraudulent. 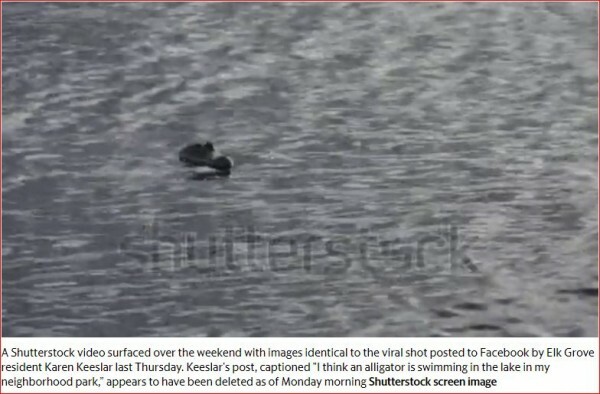 Fish and Wildlife officials were also out looking for the gator, but a search online found the exact stock photo and video of the reptile taken in Florida. KCRA has reached out to the woman who first posted the image, but she has not returned any messages. The station that broke the news on Friday also had to renounce the story. Monday morning, wildlife officials said their investigation revealed the sighting to be a hoax. For many this was the end of the story but..
…what about the witnesses? Much was made by the President of the fact that a minister and his wife were among the witnesses. Clearly, to her this is proof of her credibility. 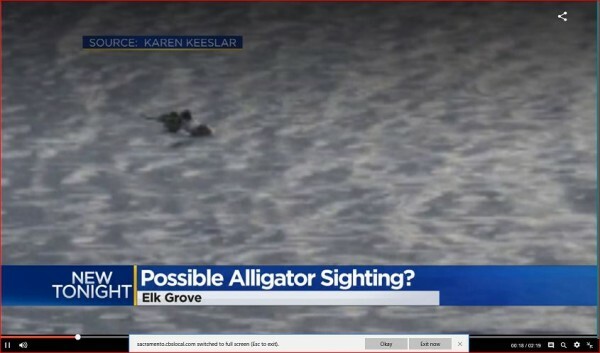 There were at least four people that claimed to have seen the gator at different times. Even with photographic proof they were denounced in the media by a government agency as frauds. I tried to imagine who in the government would believe the unbelievable. My mind began wandering back to my youth and then it hit me. Agents Mulder and Scully, this is the same setup as every episode of the X-Files and right in my backyard. 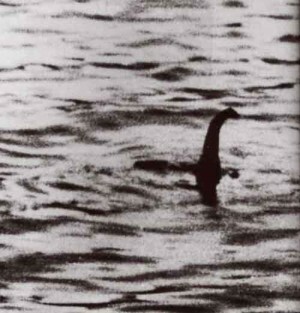 Then I tried to think of ways to prove that Elk Grove’s version of Nessie was real. Given the lack of resources that four individuals would have as compared to the full faith and credit of the State of California, how could they possibly fight back? 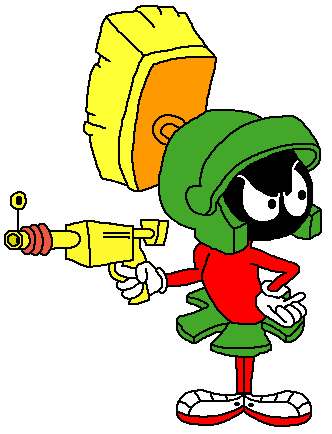 The witnesses must feel like lone gunmen facing incredible odds. They are the good, the government the bad, and the situation is ugly. Only by regaining the trust of the public could these folks hope to even the odds and salvage their reputations. I wondered how the witnesses could turn things around. 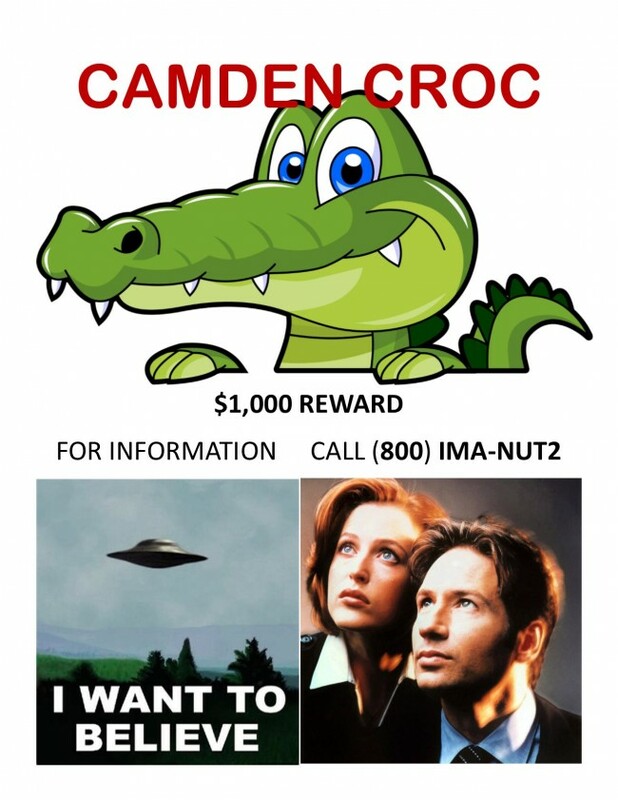 A logic component of this effort would have to include a guerrilla marketing campaign utilizing the public as their eyes and ears in the search for the truth because “the truth is out there”. In this spirit I wish to offer this flyer to post around the lake.